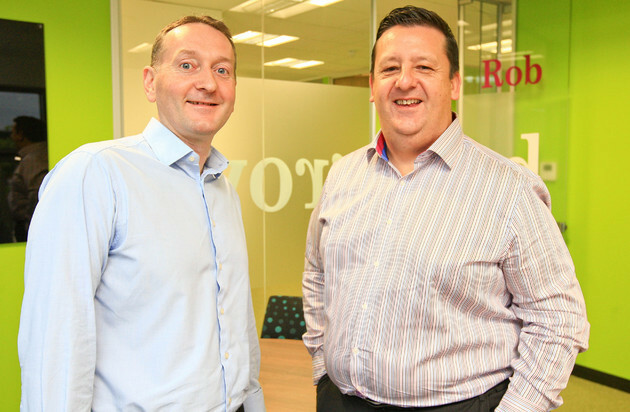 A Warrington-based company that provides support services to freelancers, contractors and small businesses has won a marketing award in recognition of its recent rebrand. ClearSky picked up silver in the ‘best use of visual property’ category at the Transform Awards in central London – Europe’s biggest celebration of excellence and innovation in rebranding and brand transformation. Judges praised ClearSky’s 2013 rebrand from accountancy specialist to all-round small business expert, following the launch of human resources (HR), employment law, tax and payroll services for SMEs. A dedicated website – www.clearskybusiness.co.uk – was launched to showcase ClearSky’s new ‘one-stop shop’ offering. Strategic branding and digital agency Clock Creative played a key role in the rebrand, providing visual and creative direction and output. The winners were announced during a gala dinner hosted by former Labour Party spin doctor Alastair Campbell. Other companies honoured included ITV, Lloyds Bank, Eurostar and the London Stock Exchange Group. Sarah Jones, head of marketing at ClearSky, said: “The rebrand was a key strategic project for us, so to receive this recognition is fantastic.